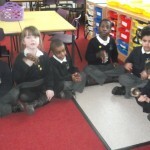 In Music this week we learnt about beat and rhythm. We learnt that a beat always stays the same but a rhythm might change. 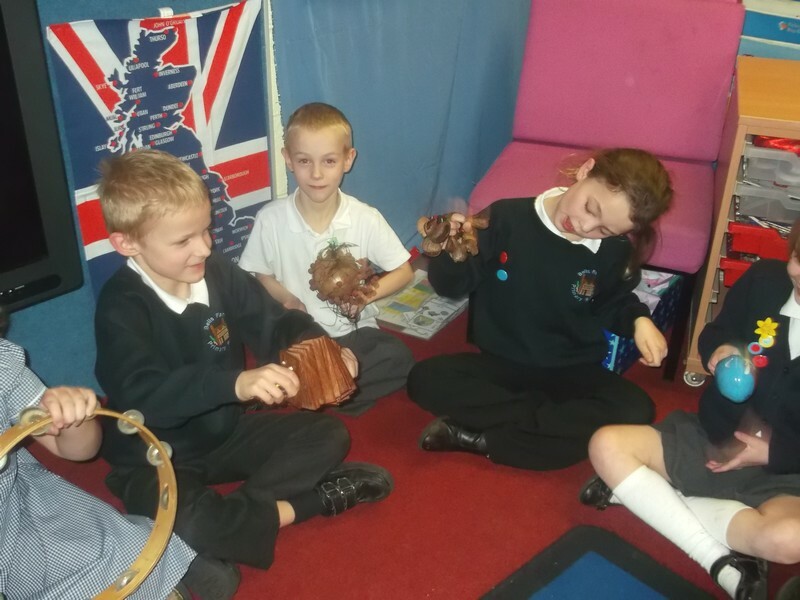 We practised using percussion instruments to keep the beat and to play rhythms. 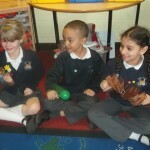 We enjoyed singing together and are busy learning some new songs. 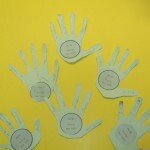 When we have mastered them we will video them and put them here for you to see. 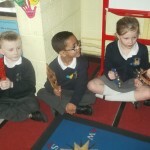 We really enjoyed our music lesson and can’t wait for next week. We had an exciting visitor from a firefighter because our topic this half term is all about the Great Fire of London. 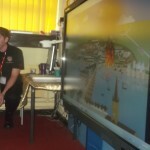 He showed us an animation about how the Great Fire of London spread. 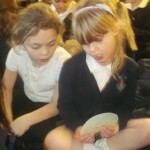 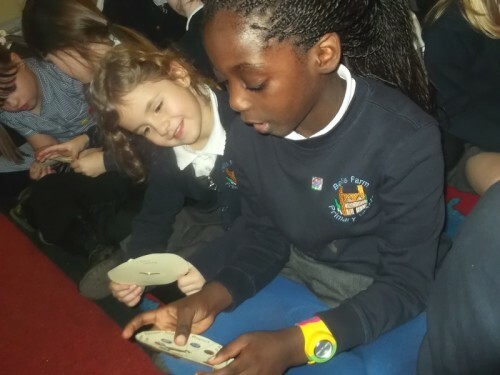 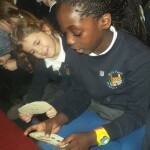 Kaicie – He told us how the fire spread from just one house to the whole of London. 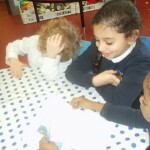 Salma – The Great Fire of London spread because the wind was very strong. 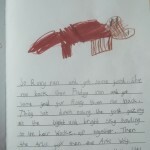 Riley – The fire spread for 4 whole days and nights in 1666. 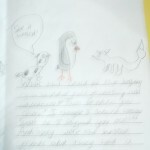 Katie – The Great Fire of London started in a bakery. 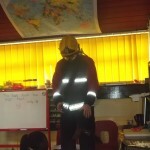 He also showed us the uniform that he wears to help him fight fires. 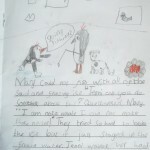 Nila – He wears boots that his trousers are connected to. 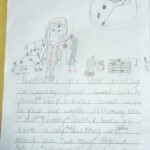 The boots had metal plates inside which means if anything falls on his feet it won’t hurt. 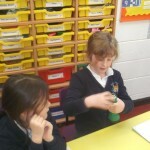 Daisy – A wears a helmet which is very hard and has built in glasses. 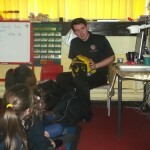 We also talked about how to keep safe from fire. 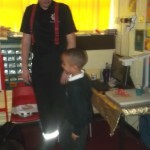 Cara – He showed us how to stop, drop and roll. 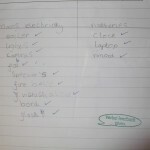 Christos – He reminded us to make sure that cookers are always off. 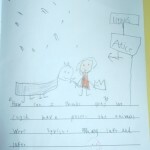 Ciera – He told us to keep away from fireworks because they might hurt you. 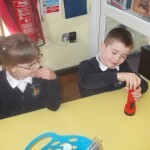 Kayleigh – Children should never play with matches. 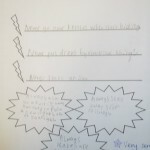 He also let us ask him some questions. 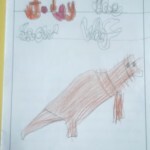 This is what we found out. 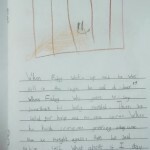 Emily – the smallest fire he had ever been to was in a bin! 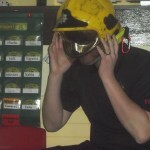 Nicola – the largest fire he has ever been to started with a chinese lantern which flew into a paper recycling factory in Smethwick. 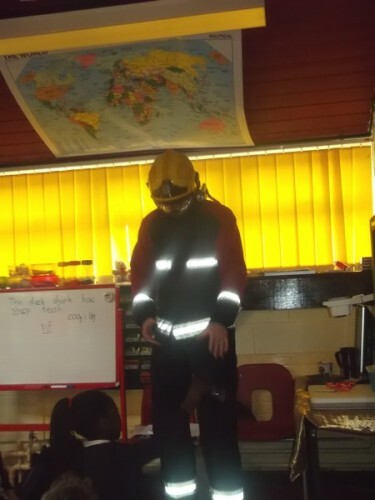 It took the firefighters 2 whole weeks to put the fire out. 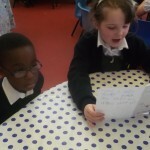 We loved finding out all about his job. 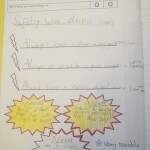 This half term we are going to be learning all about electricity. 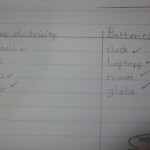 Today we went on a hunt around school to find things that are powered by mains electricity and things that are powered by batteries. 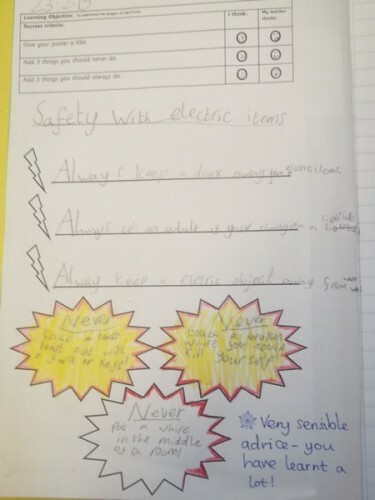 We found much more was powered by mains electricity in our school, even things like smoke alarms which use batteries at home. 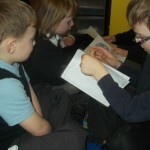 We then learnt about batteries as a portable source of electricity. 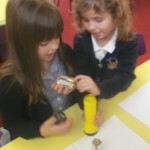 We learnt that if you put batteries in the wrong way around your item will not work. 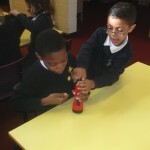 We experimented for ourselves by putting batteries into torches. Finally we talked about the possible dangers of electricity. 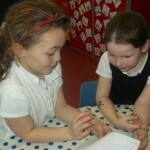 We use the website ‘Switched on Kids’ to explore possible dangers in the home. 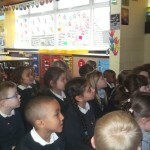 We also talked about safety by railway lines and electrical sub-stations. 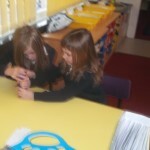 We made posters to show what we had learnt. 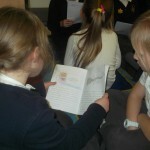 Today Toucans took their adventure stories to to read to Swans. 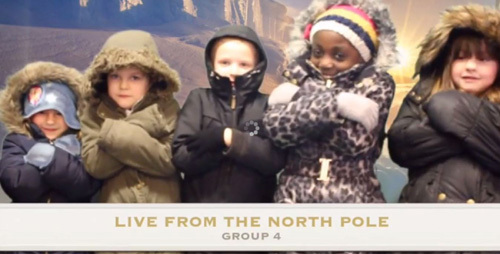 Everyone had a fabulous time! 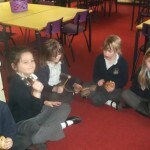 Swans were fantastic at listening to our stories and enjoyed them very much. 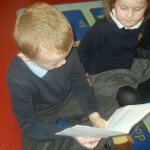 Year 2 are very proud of themselves for writing such fantastic books. 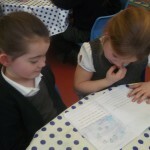 It was lovely to share books together and make new friends. 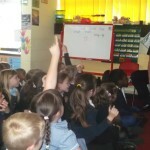 This afternoon we focused again on internet safety. 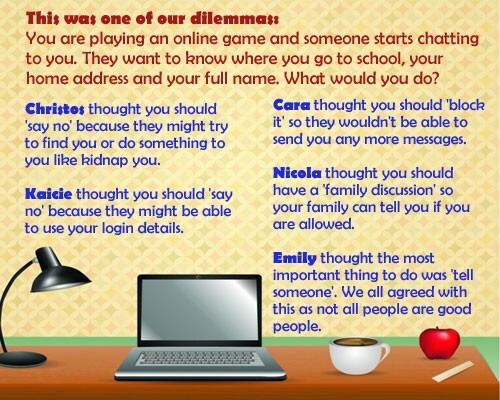 We already know lots of things but this afternoon we focused on talking about different dilemmas we might have when using the internet. 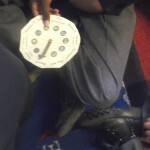 We made a wheel with options of things to do when you have an online problem. 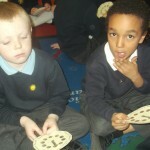 Miss Williams gave us different dilemmas and we discussed in pairs, then as a class, what the best options for each was. 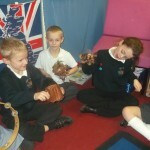 We had lots of good ideas during our discussions and were very mature in our ideas. 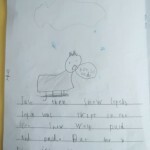 We had lots of good ideas. 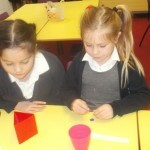 Today we started to learn about division. 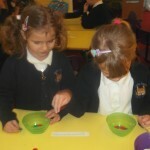 We practised the vocabulary of ‘shared between’ and ‘groups of’. 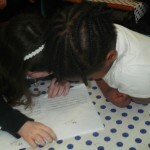 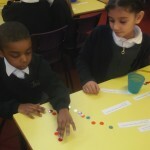 In our lesson we had to practising sharing counters between cups to find out the answer to a division number sentence. 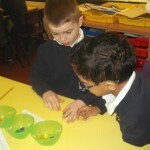 Miss Williams showed us how to share equally and then we practised ourselves. 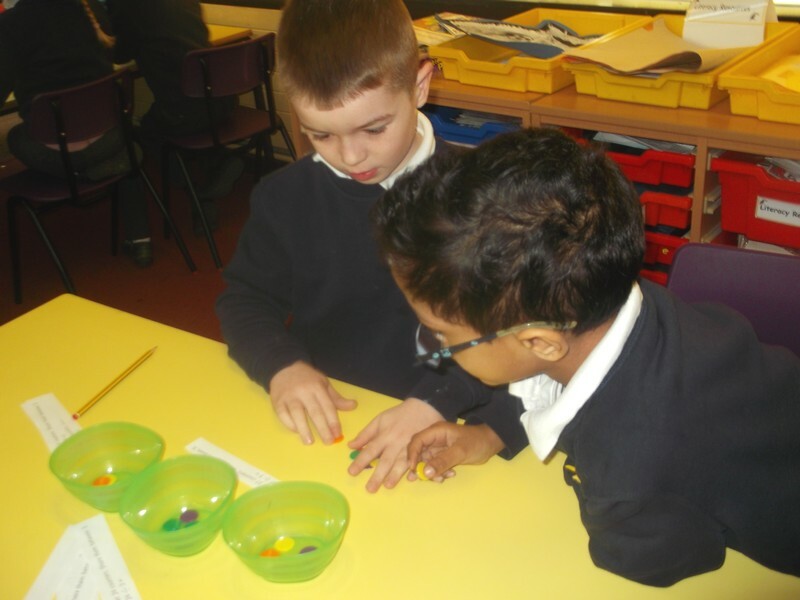 We sometimes got the wrong answer because we didn’t start with the correct number of counters! The more we practised, the better we got. 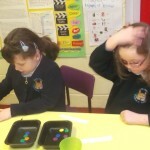 We will continue to learn about division for the rest of this week and hopefully we will be fantastic at it by Friday! 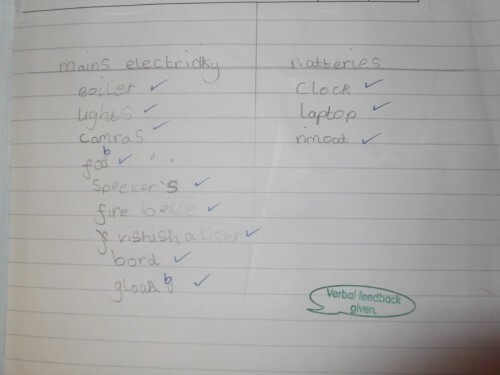 Why don’t you test us? 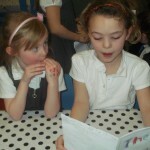 Nicola’s story was very interesting and exciting when she wrote it in her Literacy book. 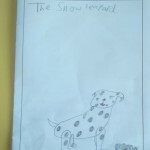 Hwever, when she published it into her real book it became AMAZING! 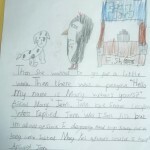 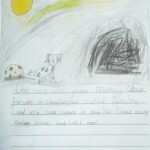 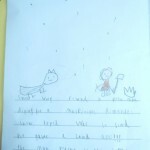 Nicola is a very skilled artist and therefore her illustrations added so much to her story. 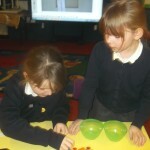 Well done Nicola! 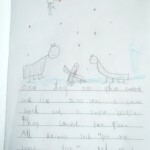 Christos wrote a very detailed and descriptive story. 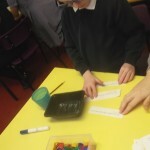 He was able to use speech marks and is trying to choose interesting words. 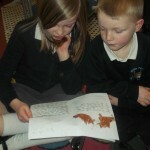 The ending to his story was lovely! 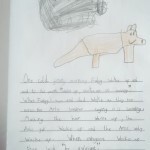 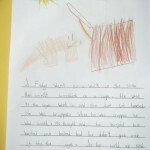 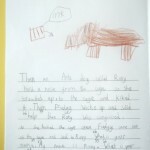 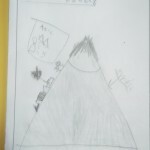 Nicholas wrote a very exciting adventure story. 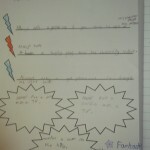 He tried really hard to use speech marks and is using lots of different conjunctions. 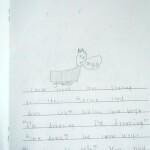 Nicholas always starts his sentences in different ways which makes his writing very interesting.